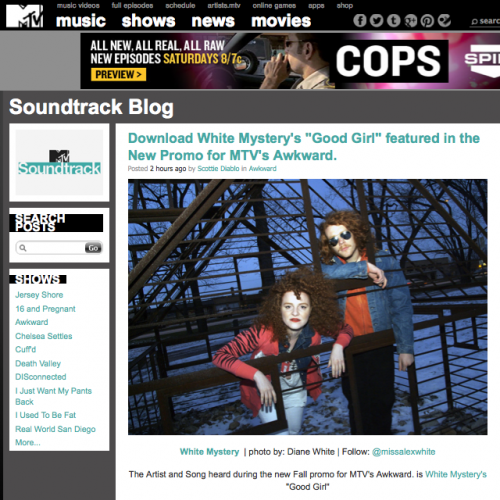 Download White Mystery’s “Good Girl” featured in the New Promo for MTV’s Awkward. Chicago brother and sister duo White Mystery have been criss-crossing North America and Europe evangelizing their primal fuzz-filled Rock N Roll to the masses. They’ve certainly earned their spot with a relentless touring schedule and pouring themselves into their music. Since 2010, they’ve released an album a year. They’re certainly no strangers around MTV, having seen numerous placements within a bunch of our shows (check out the full list here).